If you have any questions about the ATMOSPHERE information page below please contact us. The sailing yacht ATMOSPHERE is a superyacht of impressive proportions. 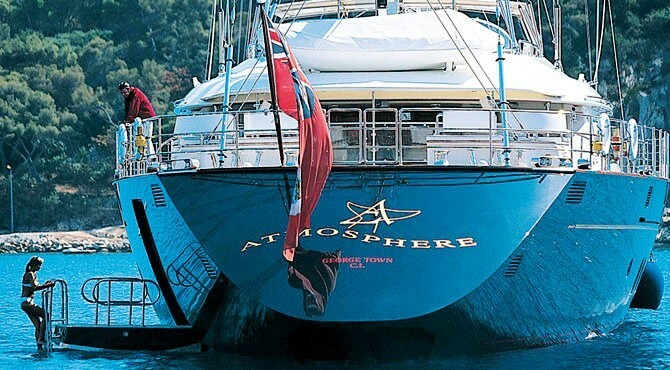 This 53 m (174 foot) luxury yacht was the work of at Perini Navi in 2000. She could be described as a modern ketch motor sailer. 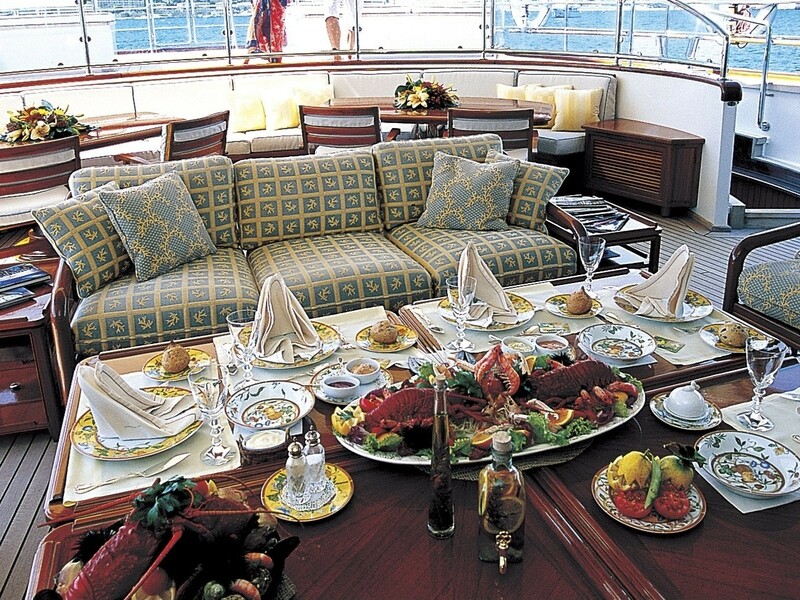 Superyacht ATMOSPHERE is a upscale yacht that can accommodate up to 12 guests on board and has around 10 qualified crew. The naval architect who actualised the design with respect to this ship was Perini Navi. 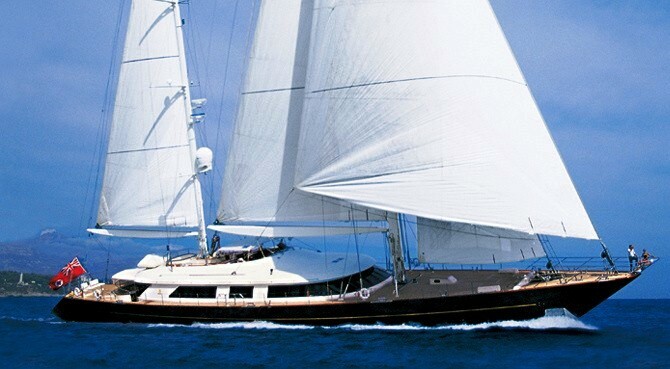 Perini Navi in addition was the interior designer who completed her interior design. The superb 53m three-deck Perini Navi ATMOSPHERE combines the advantages of both sail and power – boasting accommodation comparable to that of a luxury motor yacht of her size as well as the elegance and enjoyment of being propelled by the wind. Her enormous ketch rig delivers around 15 knots in ideal sailing conditions, a performance also equalled by her twin 1,257 hp Deutz diesel engines. 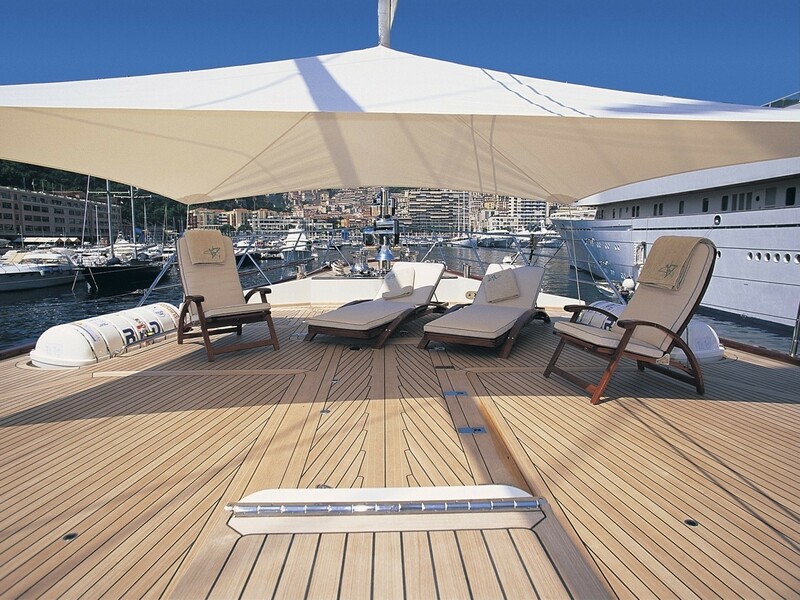 The yacht's general design work came from Perini Navi. The technical naval architect intellectual property are the work of Perini Navi. Sailing Yacht ATMOSPHERE received her elegant interior designing from the interior design office of Perini Navi. 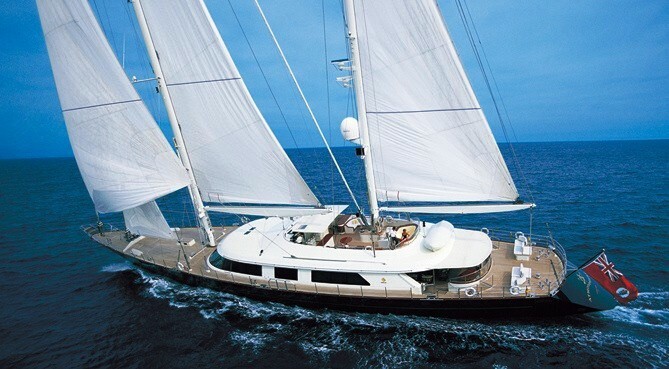 Built at Perini Navi this yacht was completed in the country of Italy. She was successfully launched in Viareggio in 2000 before being transferred to the owner. A fairly large proportion is achieved with a maximum beam (width) of 11.4 m / 37.4 feet. With a 8.3m (27.23ft) draught (maximum depth) she is fairly 8.3 (27.23 ft). The material steel was used in the building of the hull of the sailing yacht. Her superstructure over the hull is built from aluminium. In 2000 extra refit work and modernisation was in addition performed. She utilises twin capable DEUTZ-MWM diesel engine(s) and can drive at a swift top speed underway at 14 knots. The main engine of the yacht gives 1257 horse power (or 937 kilowatts). Her total HP is 2514 HP and her total Kilowatts are 1874. Her propulsion units are twin screw propellers. With respect to the ship’s stabalisers she was built with No. For bow thruster maneuverability she was fitted with Schottel. This yacht’s high cruise speed is 12 knots which enables a range of 3600. 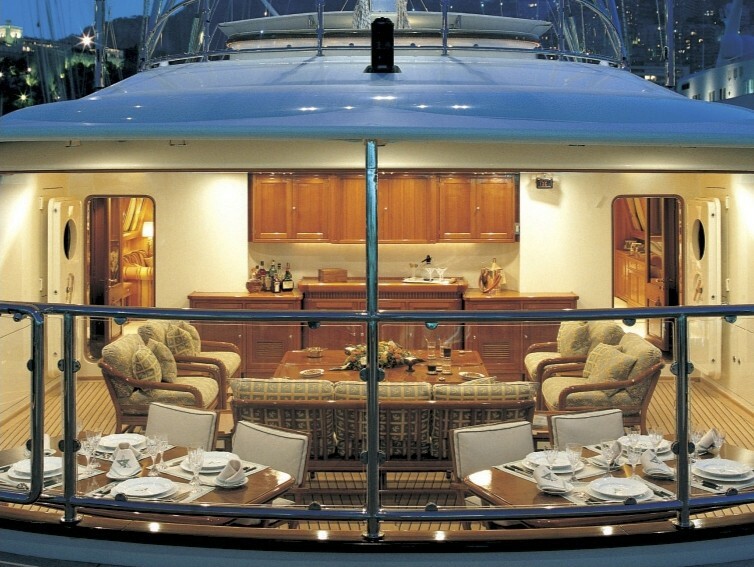 Having cabins for a maximum of 12 welcome guests staying on board, the ATMOSPHERE accommodates everyone in luxury. She also uses approximately 10 able yacht crew to operate. 53 metres / 173.88 feet. Northern Lights 2 times 150 kilowatts, 1 times 80 kilowatts. The yacht uses An Unknown Brand air con. She has a teak deck. The luxury yacht ATMOSPHERE displayed on this page is merely informational and she is not necessarily available for yacht charter or for sale, nor is she represented or marketed in anyway by CharterWorld. This web page and the superyacht information contained herein is not contractual. All yacht specifications and informations are displayed in good faith but CharterWorld does not warrant or assume any legal liability or responsibility for the current accuracy, completeness, validity, or usefulness of any superyacht information and/or images displayed. All boat information is subject to change without prior notice and may not be current.